Is Iran the stage of the West’s disaggregation? “Sanctions are coming” warned US President Donald Trump in a Game of Thrones-inspired social media post. 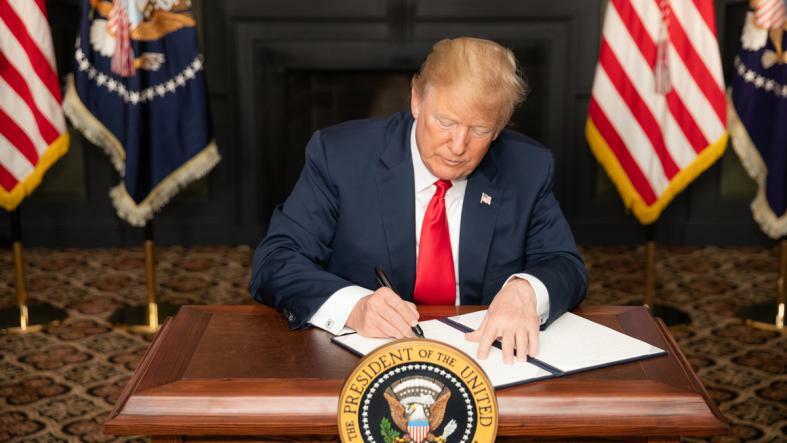 Halfway through his presidential term, POTUS is fulfilling his electoral promise to opt out of what is often referred to as the “Iran nuclear deal”, or more exactly the Joint Comprehensive Plan of Action (JCPOA). While these sanctions would not be the first attacks from the United States on the Iranian economy, they have triggered unprecedented diplomatic counteractions by the European Union, usually an ally of the United States. 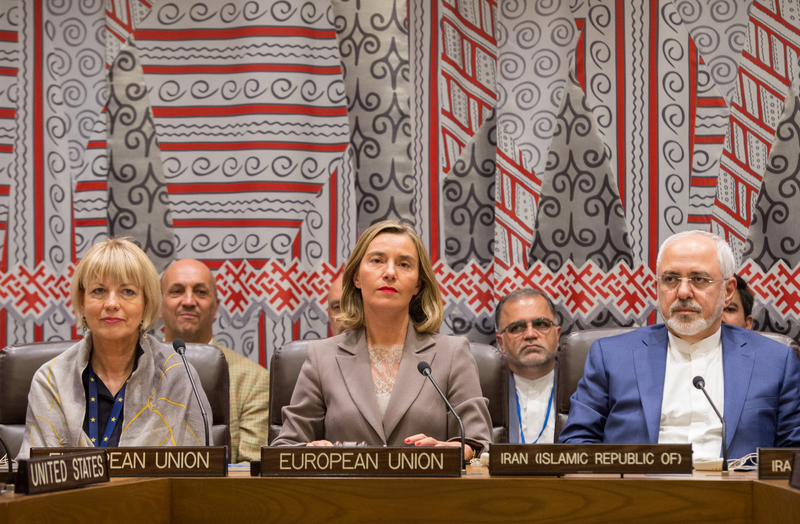 A shift is occurring in contemporary international relations when it comes to Iran: the European Union’s clear opposition to the United States, backed by Russia and China, might just be the tipping point towards a new diplomatic order. What is the “Iran deal” and why is it threatened by the sanctions? The JCPOA is the fruit of years of diplomatic efforts from the UN Security Council Permanent Members – the United States, China, Russia, France, and the United Kingdom – Germany, and Iran. The Agreement was adopted on October 18th, 2015, and implemented on January 16th, 2016. The deal consists of measures the Iranian government must undertake regarding its nuclear program in exchange for lifting the economic sanctions set by the UN Security Council, the United States, and the European Union. In broad terms, these requirements involve limiting the size of the Iranian uranium stockpile, as well as the amount of enriched uranium – the type of uranium required for weapon-building. Moreover, Iranian enforcement of the deal is watched closely, as the country must comply to inspections by the International Atomic Energy Agency (IAEA). The United States backed out of this deal on May 8th, 2018, and reapplied heavy economic sanctions. These moves by the Trump Administration are a true threat to the agreement, as it could destroy the hard-earned trust relationship between Iran and the deal-brokers. Iran should be rewarded for its compromise on its nuclear programs, especially after complying to thorough IAEA inspections which validated the respect of the Agreement. However, Trump judges the deal as too lenient towards Iran, and has been encouraged by US allies Israel and the Kingdom of Saudi Arabia, which view Iran as a regional threat, to renege on the United States’ commitment to the JCPOA. However, more threatening to the JCPOA than a mere broken promise are the sanctions the US President has been boasting about. What do the sanctions consist of and what are their consequences? Two rounds of sanctions have occurred since the United States withdrew from the deal. The first, effective August 7th, 2018 limited the ability for Iran to purchase US currency, trade gold and precious metals, and purchase commercial aircraft and auto parts. The more recent round of sanctions, announced November 4th, 2018, is even more dangerous for the Iranian economy, as it restricts the sale of Iranian oil and petrochemicals. Accounting for 82% of Iranian exports revenues, these latter sanctions promise to put Iran on its knees. Looking at how the sanctions affect Iran helps understand how problematic they are. Inflation has tripled, basic products are now either scarce or overpriced, and Iranian citizens are the first to suffer from the sanctions, not the Iranian leadership. This is not an advantageous situation for the Trump administration, who will at best foster more anti-American sentiment in Iran. While it is still unsure what the worst might be exactly, no one wants to see an escalation of conflict between Iran and the United States, especially considering Iran’s influence and the ability for the United States to count on strongly armed allies such as Saudi Arabia and Israel. How effective will the US sanctions be in bringing back the Iranian leadership to the bargaining table? If the US sanctions hurt the Iranian government badly enough, it might put the Iranian government in a position in which it will have very little leverage over the fate of its nuclear program. Until now however, the Iranian population suffers probably more than its leadership: the price of basic imported commodities and medication has been soaring as they become increasingly scarce. On the other hand, withdrawing from the international agreement might be the surest way to spoil the diplomatic trust between Iran and the United States and could lead to an escalation of tensions between the two powers rendering another attempt to broker a deal impossible. For now, the European Union, alongside China and Russia, are attempting to salvage the JCPOA in spite of the United States’ will to sabotage it. Very rarely has the EU been so overtly opposing the United States. Since the open criticism addressed by the EU to the Bush administration in 2003 during the US intervention in Iraq, the two Western powerhouses have been close allies. Yet, the unprecedented value of the JCPOA seems worth fighting for. The Russian Federation and China still support the deal, too. Led by EU High Representative for Foreign Affairs and Security Federica Mogherini, the remainder of the European deal brokers and Iranian Minister of Foreign Affairs Javad Zarif reached an agreement regarding a solution to protect the European firms trading with Iran from the impact of the sanctions: a Special Purpose Vehicle (SPV). This potential solution would act as an alternative to the dominant SWIFT system, a financial messaging platform allowing banks to exchange sequences of numbers – corresponding to transactions – in a secure manner. SWIFT is directly targeted by the sanctions, and while it is a Belgian network, the platform has complied to the demands of the United States before. More than 10,000 banks depend on the financial record-keeping company, and if the United States convince SWIFT to exclude Iranian banks from its system, the sanctions will attain their full reach. 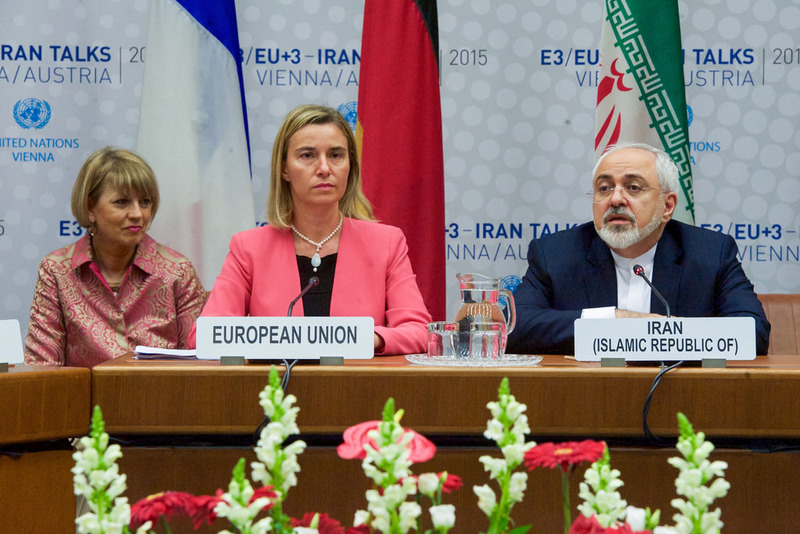 The EU and Iran are crafting the SPV to end the reliance on SWIFT to trade with Iran. While the goal is clear, the means to achieve it are not at the time of writing. The most plausible alternative to the platform is a “barter” system in which countries trading with Iran would not have to exchange US Dollars, on which the United States can impose sanctions. EU countries relying on Iranian oil would simply use the SPV to keep record of the value of the imports, and Iran could then “import back” such value in EU countries’ goods and services. The US would not have jurisdiction over these transactions and would be powerless in sanctioning European firms. For now however, the SPV is still in construction, and should see the day in 2019: in the meantime, we can only speculate about its economic effectiveness. However, Rome was not built in a day. The development of the SPV underpins the larger goal of the European Union to end the dominance of the US Dollar in global markets. Saving the JCPOA is the perfect occasion to get started: but threatening decades of hegemony will take more than the year-old policy project. This caveat justifies the heavy load of skepticism following the announcement of the SPV. Yes, the EU wants to be independent from Trump’s America’s economic reach, and the SPV will be a good start. No, it will probably not be enough, and too late, to protect Iran from the disastrous impact of the US sanctions, even more so if SWIFT excludes the Iranian banking institutions from the party. The United States is a too-big-to-risk kind of market for large European companies, and preserving the JCPOA is hardly an incentive when profit is at stake. The Iranian economy is already under pressure, but this does not mean that the JCPOA will fall through. The EU’s open opposition to the US sanctions, and the diplomatic support to Iran it has demonstrated in the past months is already a small victory for the country. Russia and China’s approval show that this opposition to the United States dominance is not a shot in the dark. It might be only the beginning of a political trend towards a global redistribution of power.